of the Valley of the Kings lived with their families. 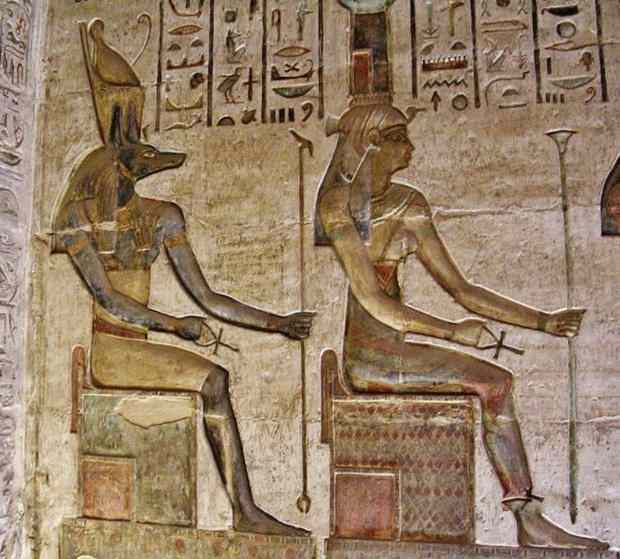 The Pharaohs built several temples for the workmen. 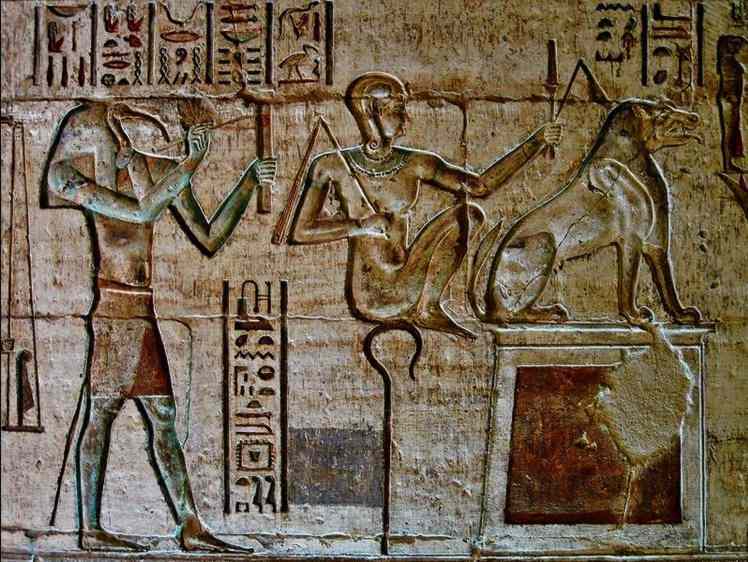 Local gods from the New Kingdom artists of Deir el Medina. 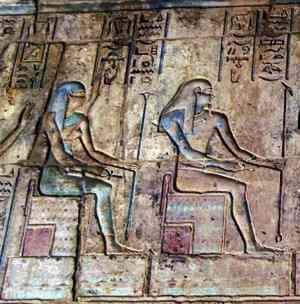 (Left) Kuk and Kuket, (Right) Nun and Naunet. Both photographs by Steve F E Cameron, CreativeCommons. Photograph by S.F.E. Cameron, CreativeCommons. 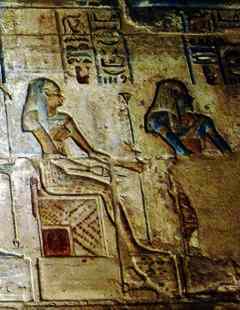 Hathor, Deir el Medina, temple of Seti I.
Deir el Medina was abandoned when tomb building ceased, soon after 1100 BC. 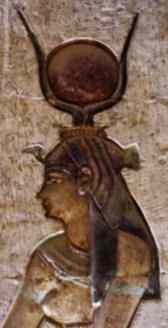 Nine hundred years later the Greek pharaoh Ptolemy IV Philopator rebuilt the Hathor temple there, perhaps a homage to those who created the Valley of the Kings. There is no other use for the spot and the ruins of the town were mostly undisturbed through the centuries. Photograph by Kyera Giannini, CreativeCommons. 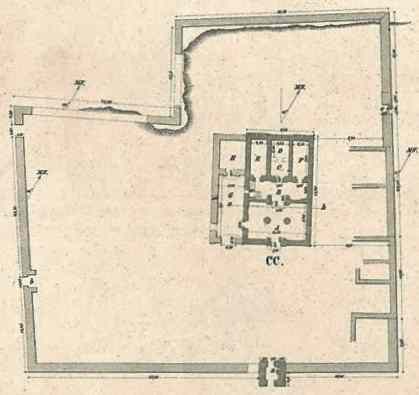 from La Description de l'Egypte, 1809. 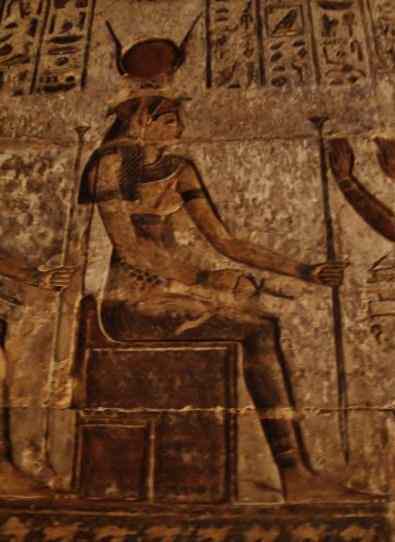 Hathor, Ptolemaic Temple, Deir el Medina. 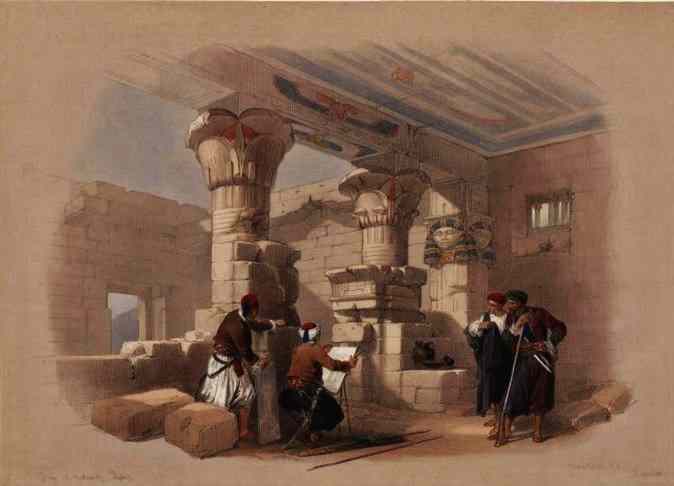 David Roberts sketching at the Hathor Temple, Deir el Medina, 1838. David Roberts, an artist from Scotland, got his start painting sets for a theater company. This may partly explain the expansiveness and accessibility of his drawings of Egypt. The many drawings he made during his visit to Egypt in 1838 were turned into lithographs by engraver Louis Haghe, a work of four years. 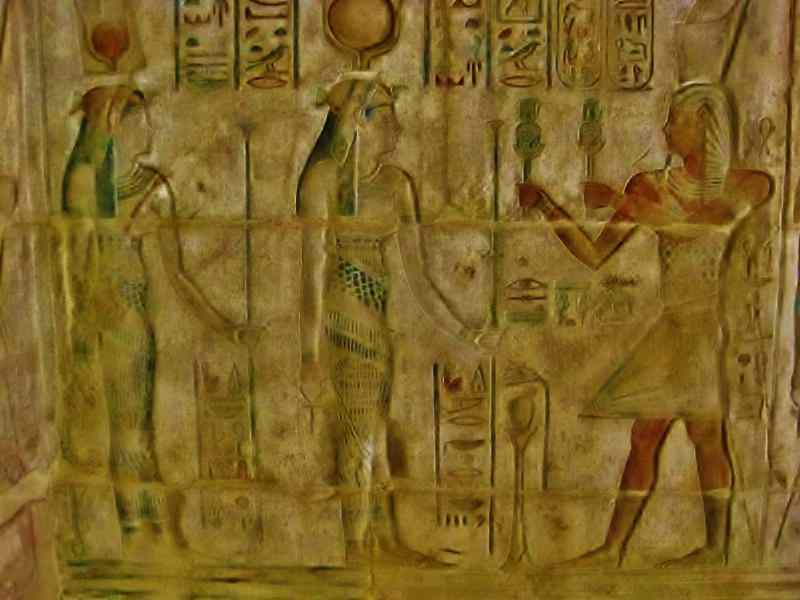 When these pictures were released they became very popular, and many other European artists took on Egyptian subjects. 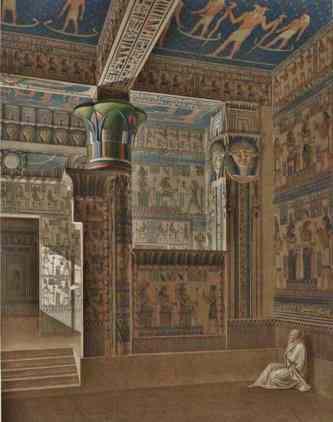 Robert's collection, "Egypt and Nubia", published in London, 1846–49 in 3 volumes, is now considered one of the very finest examples of 19th century engraving and printing, along with its archaeological importance. for the everlasting worship of themselves.